So we’ve come to the end of March, and I’m super happy because it means we’re one month closer to (hopefully!) warmer weather! This month has felt a little hectic what with my birthday and all, so I’m quite glad to move on into April and see what that brings – although I already know that it will be just as hectic, if not more! 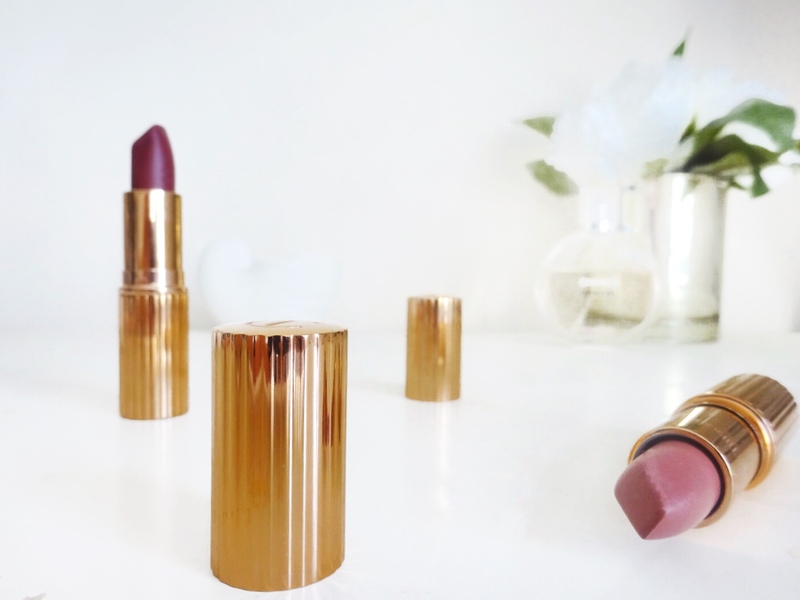 I actually have quite a few favourites to share with you guys this month, but I should warn you that three of them are lipsticks – I think I have an obsession! Who am I kidding, I have an obsession with pretty much every makeup product, but let’s stop rambling and get into the actual favourites. 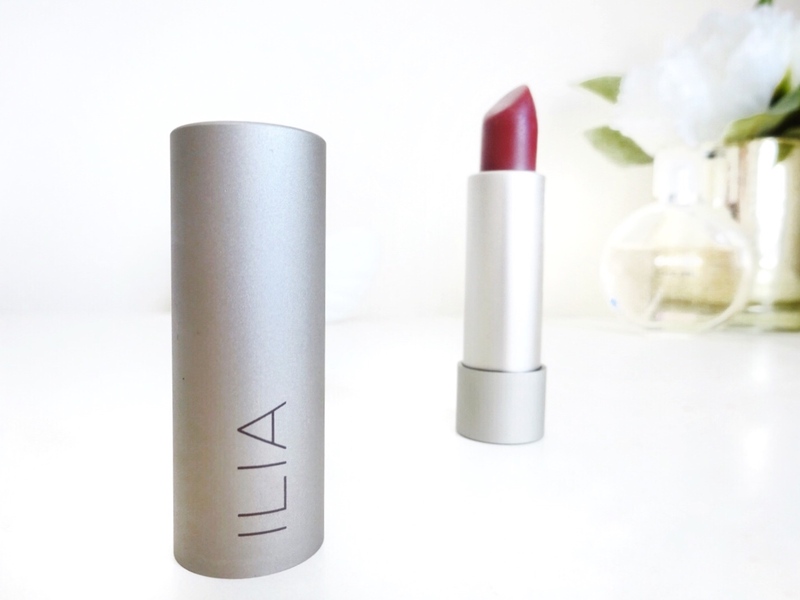 I received this lipstick in my March Look Incredible Box and I immediately fell in love with it. The packaging is so sleek and gorgeous, and the shade is the most beautiful berry with a sheer finish that’s super buildable. I love applying this really lightly during the daytime for a ‘just bitten’ look, and being more heavy-handed in the evenings to make it a little more dramatic. It’s really moisturising too, which is a huge bonus! I’ve been obsessed with wearing this necklace recently; it’s a really delicate take on the choker trend and it works with everything. I especially love the tassels on this that give it a super boho vibe – I can see myself wearing this all through spring and summer. It’s only £15 too, so it’s a total bargain! 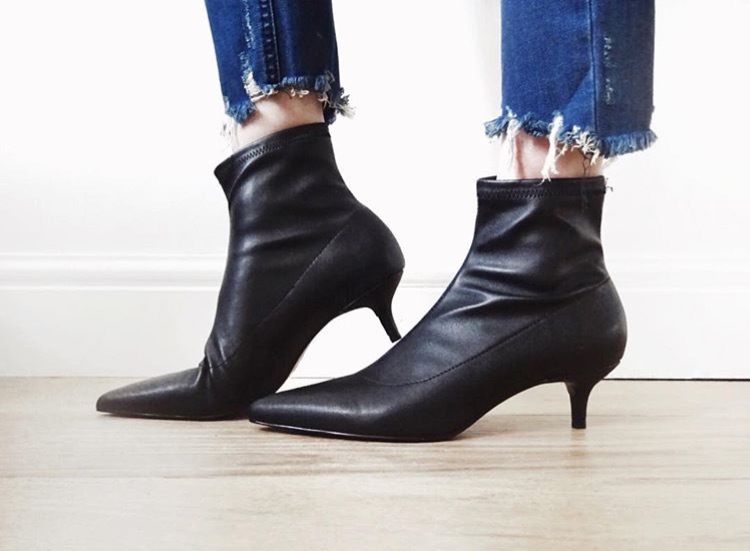 I have been wearing this boots non-stop this month and, although the weather is getting warmer, I can’t see myself stopping anytime soon. They’re honestly one of the most comfortable pairs of shoes that I own – I even did an entire London shopping trip in them without causing any damage! – and they look so chic. I could honestly wear these for the rest of my life. I received this brush in a Glossybox around a year ago and initially threw it to the side and forgot about it. I recently picked it back up again and totally fell in love with it – I don’t know why I didn’t start using it immediately! It’s super soft and pretty densely packed so it gives you a flawless looking contour. 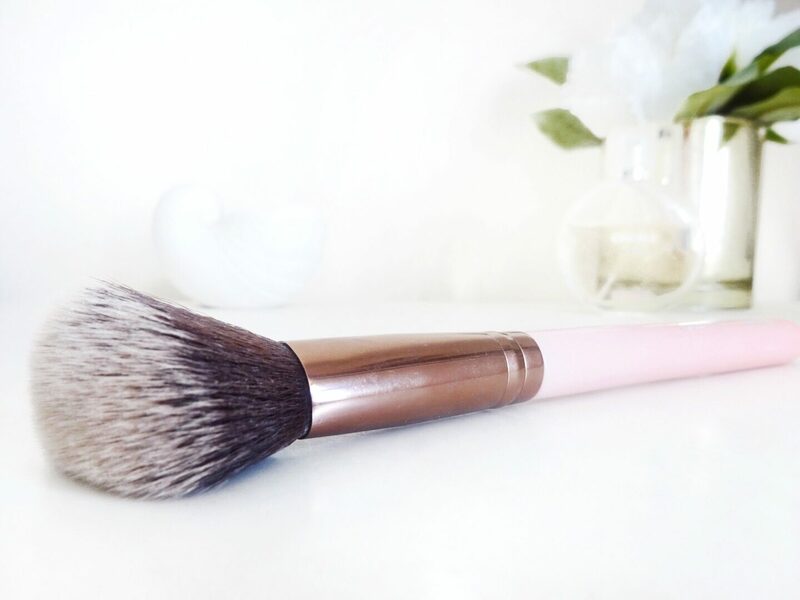 This has definitely become my absolute favourite brush to contour with, totally taking the place of my Benefit Hoola Bronzing and Contouring brush. Now I’m on the lookout for some more Luxie brushes! I absolutely love the formula of Charlotte Tilbury lipsticks, so of course I had to treat myself to a couple for my birthday! ‘Pillow Talk’ was top of my list, as I have the lip liner and absolutely adore it so I knew that I needed the lipstick too. I fell in love with ‘Bond Girl’ whilst looking at the shade selection online, and I’m so glad I picked it up because it’s the most beautiful, subdued dusty berry-rose that looks stunning on the lips – I think I even like it more than ‘Pillow Talk’! I will be doing a full review on these lipsticks soon, so keep an eye out for that! 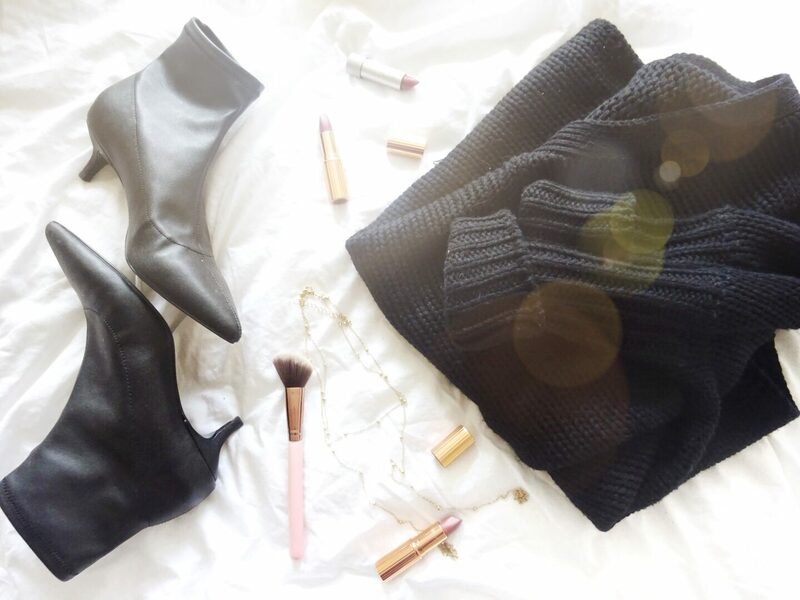 I have been on the lookout for the perfect slouchy knit jumper for literally years, and when I found this one I finally knew it was the perfect one for me. 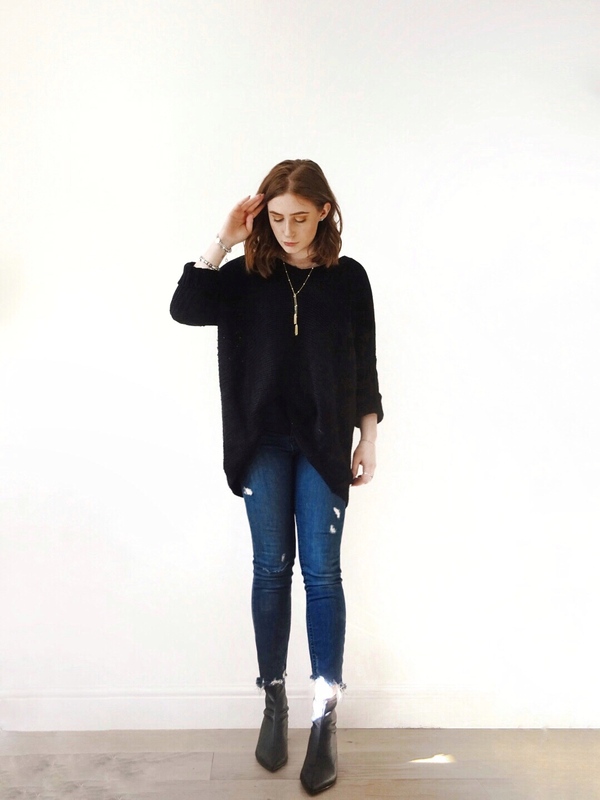 It’s beautifully oversized without looking frumpy, and it’s so easy to throw on and still look put together. I’m totally obsessed and I only wish that I could wear this everyday, all year round. 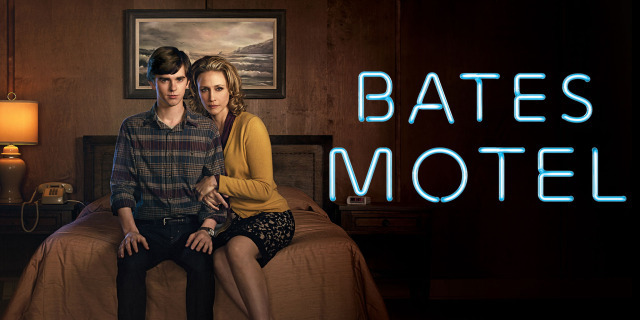 Bates Motel is back for it’s final season (sobs) and I have to say I’m really loving it so far. If you haven’t heard anything about it, Bates Motel is basically a prequel to the movie Psycho which tells the story of Norman and Norma Bates in the years leading up to that shower scene. I’ll try not to spoil anything in case you guys haven’t watched it (which you totally should, by the way), but this season is the major Psycho season and is showing Norman’s final downward spiral into becoming the man he is in the film. Although I really don’t want it to end, I know the writers will end it in the perfect, fulfilling way and I can’t wait to see what happens. Do you spy a theme here? I have a tiny obsession with serial killers (totally normal right? ), so of course this show would be right up my alley. I honestly have no idea why it took me so long to watch it, but it’s been just over two weeks since I started and I’m about to be on the last season. If you haven’t heard about or watched Dexter, it’s basically about a serial killer who only kills other killers and criminals. 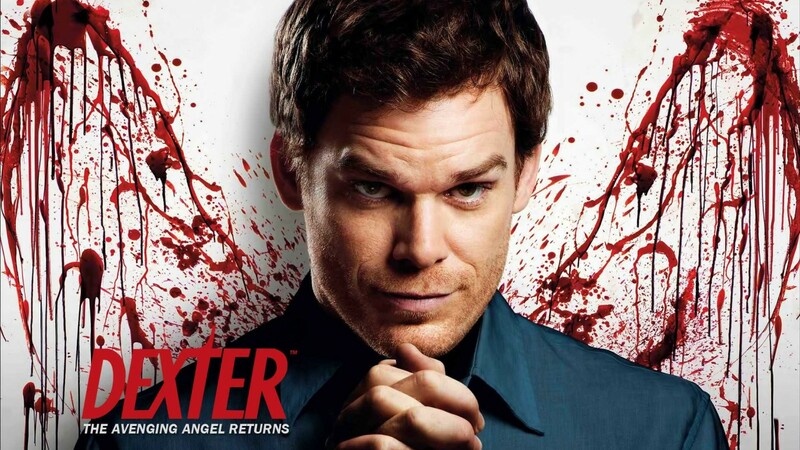 I totally urge you to watch it if you haven’t already but be warned, you will totally fall in love with Dexter – or maybe that’s just me being messed up, who knows! I really don’t know what I’ll do when I’m finished – I need them to make the spinoff that they’ve been talking about for years otherwise my life will have this huge, serial killer sized hole in it. Too weird? Okay, I’ll stop there. Great picks here! I love CT lippies, especially Pillow Talk – I really wanna try Bond Girl. Also, that choker necklace is soooo gorgeous! I love your outfit! It’s so amazing and suits you well 🙂 I’m not really a fan of chokers but this one is pretty! I absolutely love Luxie brushes, the quality is amazing, they are absolutely gorgeous and so reasonably priced!! Ah I love this post, such a good mix of stuff! I really want to try CT Pillowtalk, it always looks so beautiful on! Also, I share your love for Dexter…it was one of my favourite TV shows to binge watch when I was back at uni! I love Warehouse jewellery! One of the best! Ohh I really need to start watching Bates Motel, sounds like my type of show… Too bad it’s at its final season now! Ugh I have never tried Charlotte TIlbury makeup, but I really want to. That lipstick sounds & looks amazing! 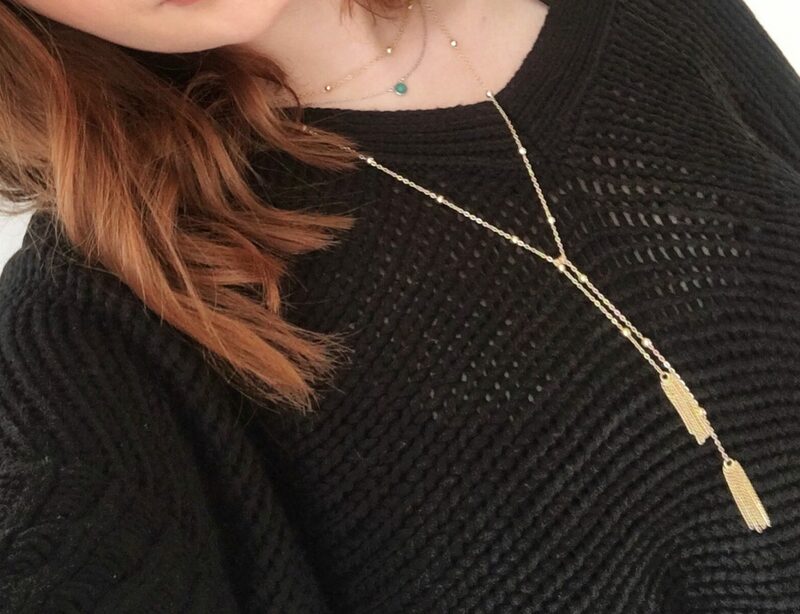 Love the warehouse necklace!!! 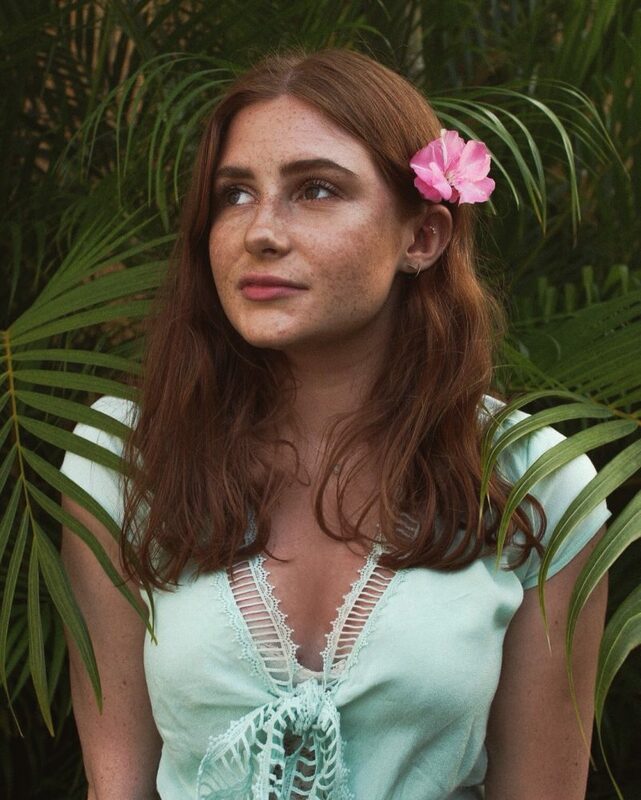 So simple yet looks amazing to add something more to a simple outfit. I also love CT Bond Girl, one of my favourite lip shades! I love Dexter but I really need to catch up! I’ve been watching it for years but I always end up leaving gaps between seasons! I’m only just starting the 4th season but it is soo good and gets me so excited! It’s so good right? I’m planning on reading the books too so it’s not missing from my life!